Had to clean up the small storage room to find some place for the new one. So I grasped the opportunity and took a quick cell phone photo. Nice little family you got there !! How do I tell the missus, that you?re right? It would be nice to see other forum members their families too. The above sentence sounds weird to me. I?m still having trouble finding the correct phrase structure in English in these kind of sentences. So is it correct, or should I write ?families from other forum members?? I'd say "other forum members' families". 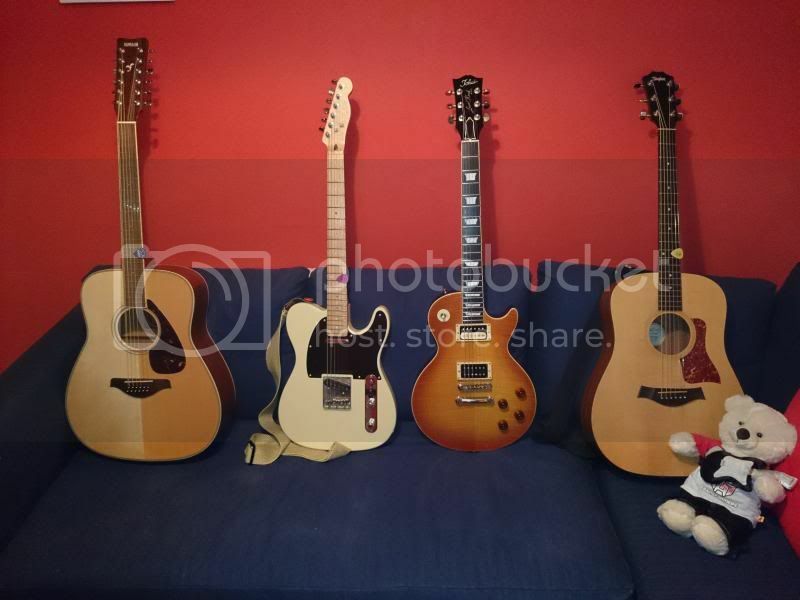 I have a shot of my Tokai's but their not on the couch. Nice to meet your family. My two favorite hobbies combined.